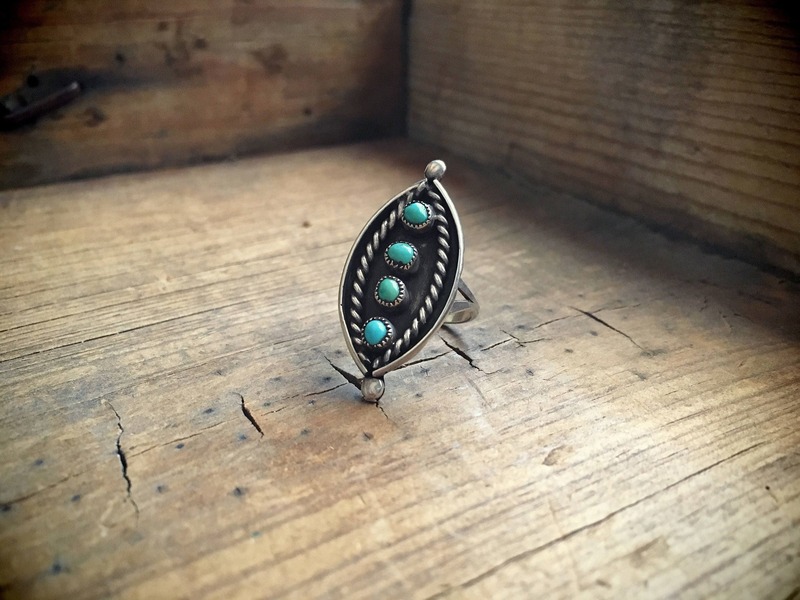 Here we have a lovely turquoise shadowbox ring made with light blue turquoise in a design that resembles the shape of an eye. 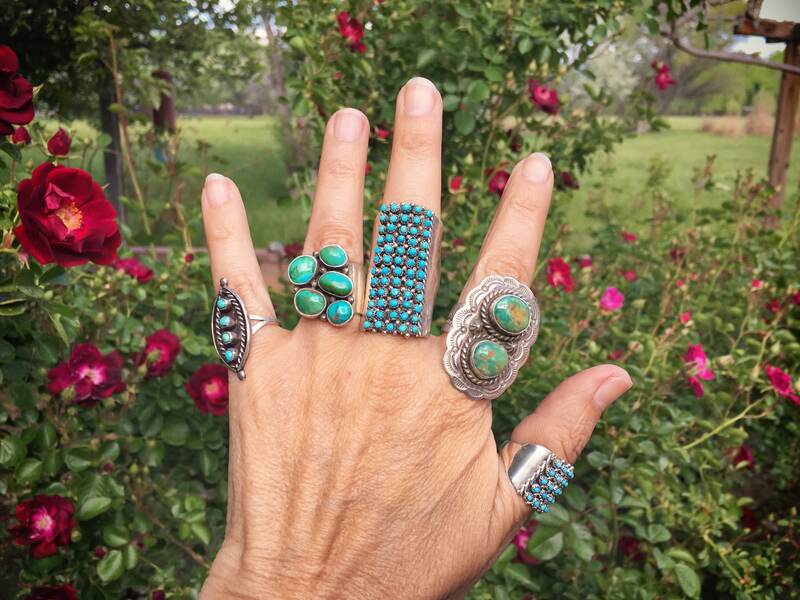 Four round turquoise cabochons are set in sawtooth bezels, in the Zuni snake eye setting, with two rows of twist wire on either side and the background oxidized for depth. The ring itself is dainty, as is the shank. The back carries a hallmark YTH (Ya Tah Heh?) made with a dremel, which tells us the ring is quite old. Artists often used dremels to hallmark their pieces in the 50s and 60s before stamps became the norm. 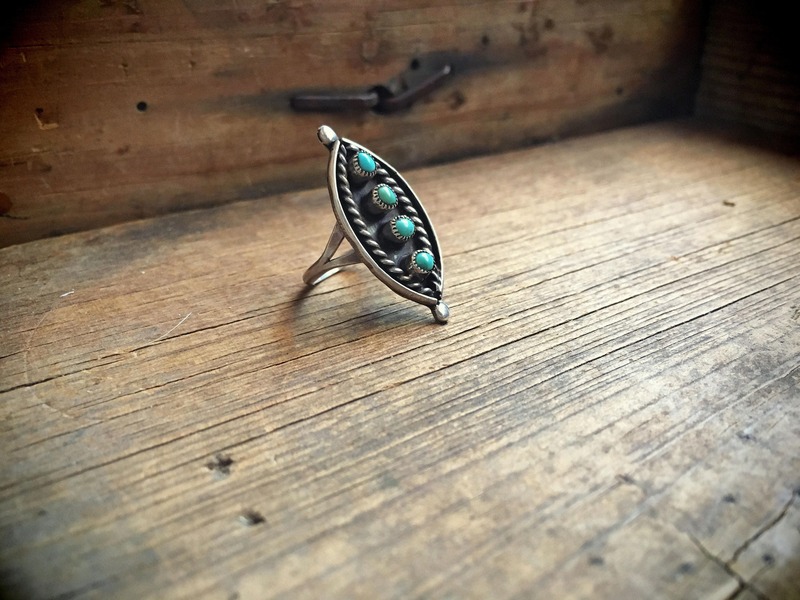 We believe the piece is Zuni. 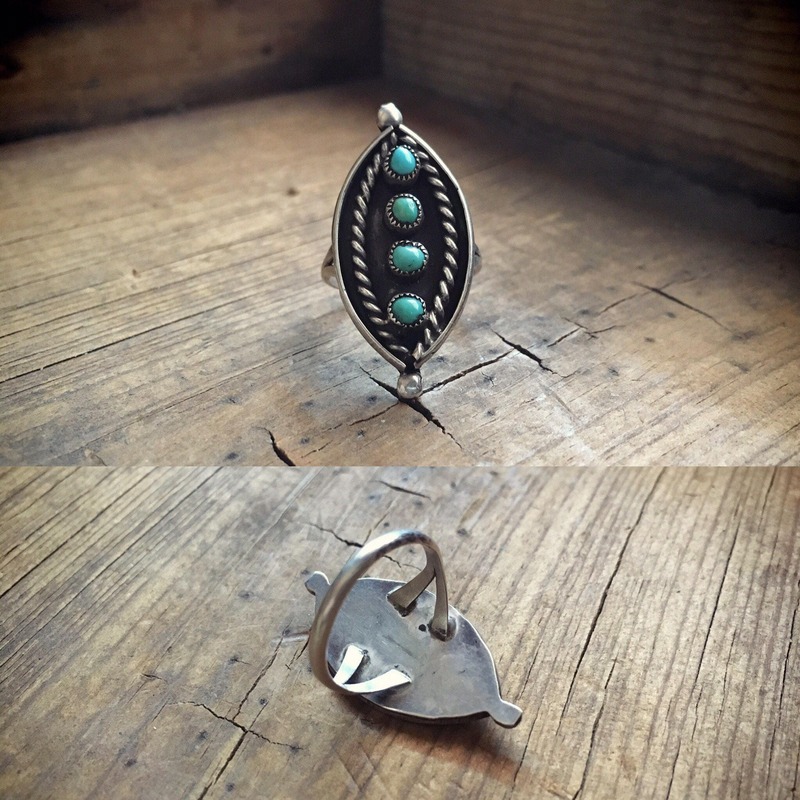 The ring face measures about 5/8" across as the widest point by 1-3/8" long. The ring is a size 5.5. There is no sterling stamp, but the piece does not magnetize. Some small scratches on the back but otherwise in great vintage condition. 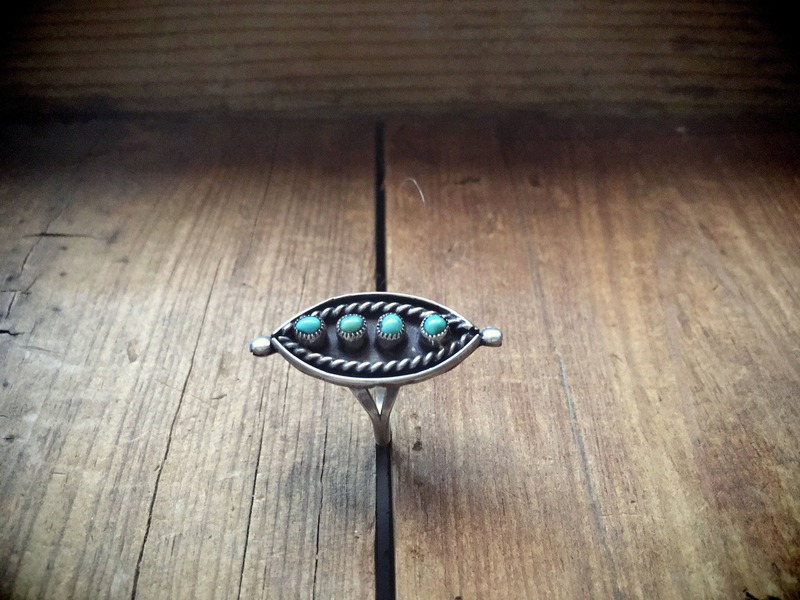 A lovely piece for a young woman or someone who likes a delicate ring.